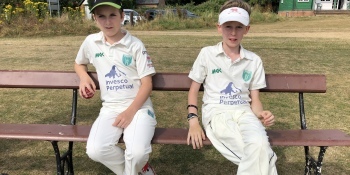 Sonning batted first with Freddie Corbett taking three fabulous wickets and Oscar Thomas retiring for the first time this season. Sonning batted first with Freddie Corbett taking three fabulous wickets and Oscar Thomas retiring for the first time this season. With Ben Horner and Conor Quinn also hitting the boundary.